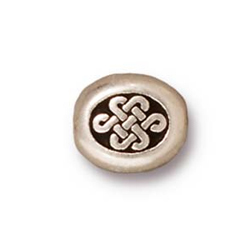 TierraCast® Antique Silver Small Endless Bead. Measures approximately 7.5x8.5x3.5mm. Sold in packs of 4 beads.